old photo! Can you tell I didn’t know how to use my (at the time) new to me DSLR? 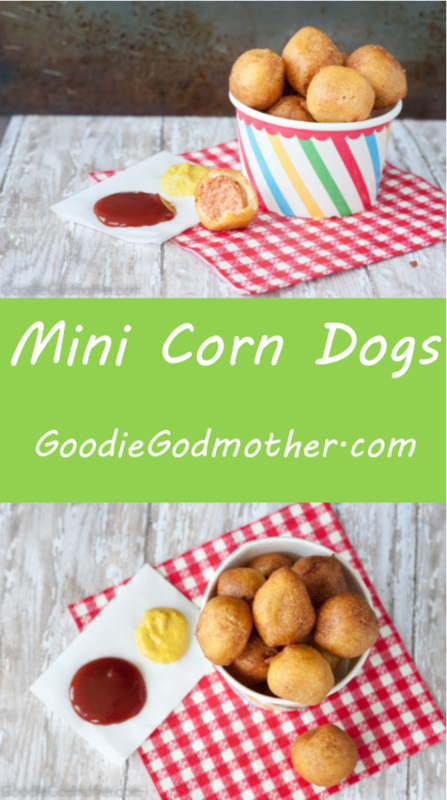 Looking in our fridge, I spied a package of hot dogs and I just knew that we “needed” mini corn dogs. 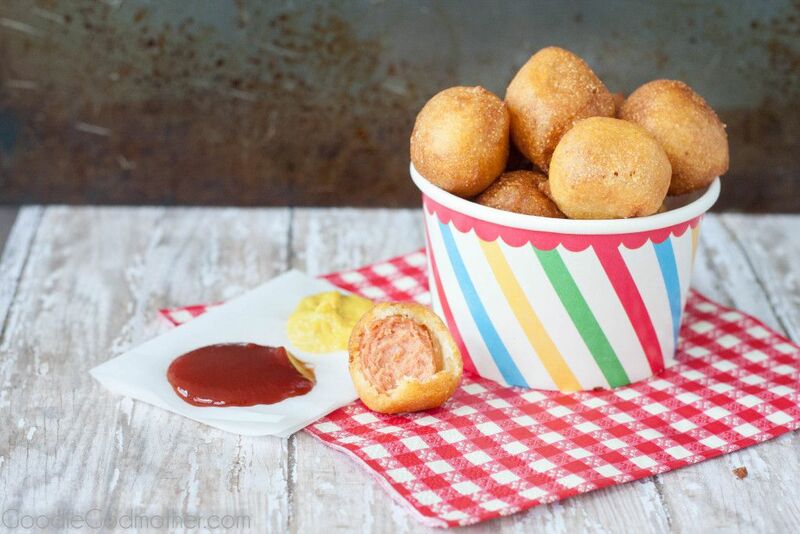 Who doesn’t need a mini corn dog in the summer? Well, a lot of people I’m sure. Honestly, it’s been years since I’ve eaten one, but there’s a comfort in seeing them at fairs and festivals. They’re a relic of childhood, warm summer days, and riding bikes outside in circles so you stayed within sight of the front window. 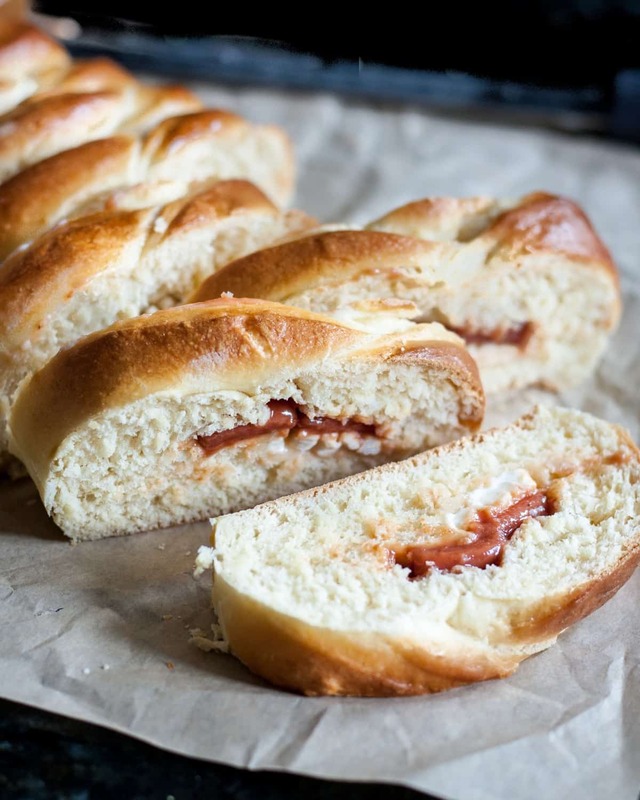 But if you’re going to make them at home, they’d better be amazing and better than some frozen something you buy in a box from the freezer section at the store. Since we were sharing at a party, minis seemed like a better idea. I thought about using toothpicks as sticks or cutting skewers, but the look wasn’t quite right. 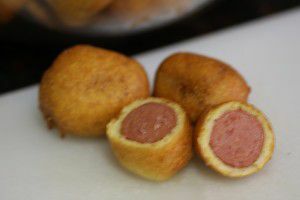 I would absolutely use a skewer if you choose to make these as full size corn dogs. There is no other way to do it. Variation: I did attempt a bacon wrapped variation, but we preferred the original. 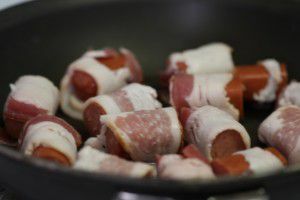 If you would like to add bacon, wrap the dogs and cook the bacon around them, either in a skillet (pictured) or in an oven (place in the cold oven, heat to 400 F, watch closely). I had to skewer these with a toothpick for dipping and frying to hold the bacon in place. 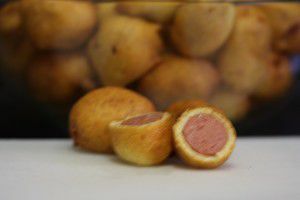 Cut hot dogs into quarters, pat dry, and set aside. Heat the vegetable oil over medium heat. 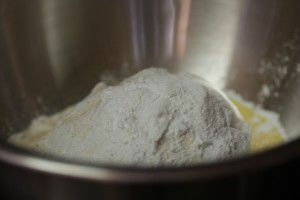 While the oil is heating, combine the dry ingredients in a bowl. Make a well and add the milk and egg. Stir until smooth. Using a pair of tongs, dip the hot dogs in the mixture, coat well and shake off the excess. 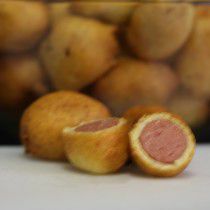 Drop corn dogs in the hot oil and cook until you've reached desired brown color, about 3-4 minutes. 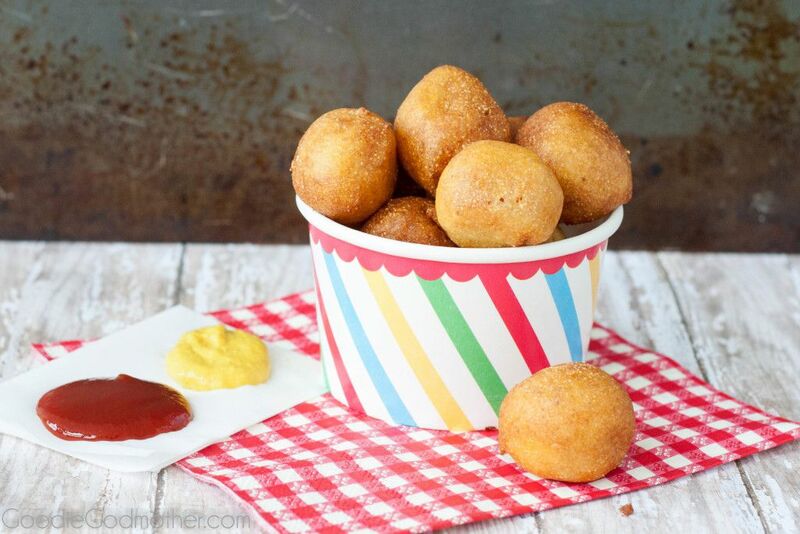 Drain corn dogs on a paper towel and serve warm with your favorite dipping sauce. 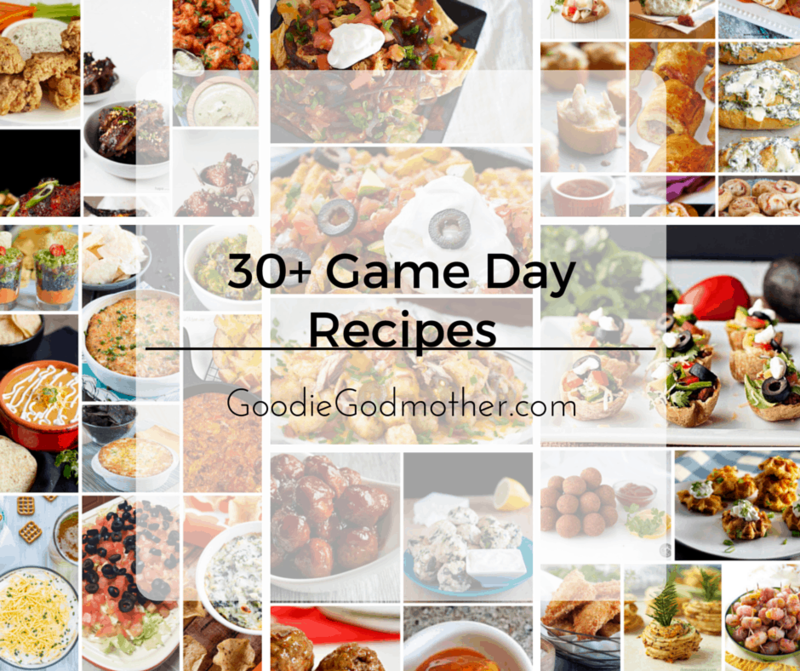 Delicious Game Day Recipe Roundup! Can you make ahead of time? 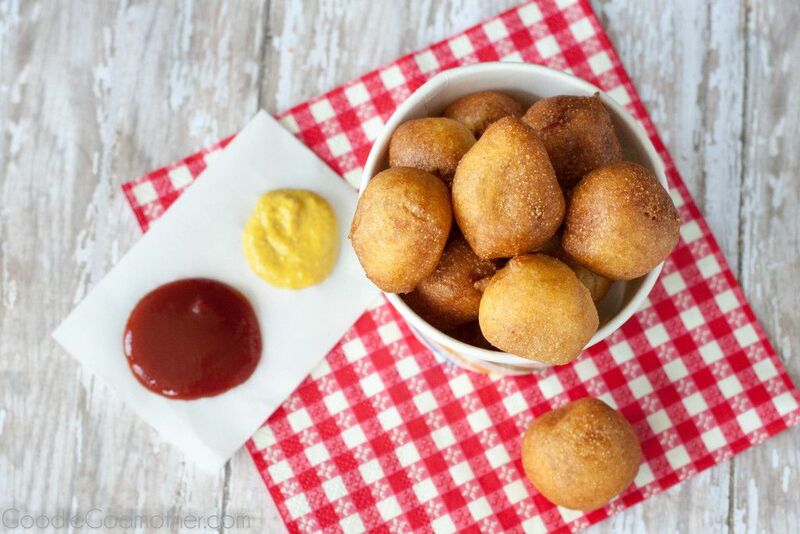 They’re best when freshly made, but you can fry in advance and then reheat in the oven. That’s what I do with leftover… 375 F for 5-10 minutes until they’re warmed through. My grandson absolutely loves corn dogs. Each year for his birthday we take him a really nice restaurant (he is 10 now) and he orders Corn Dogs! 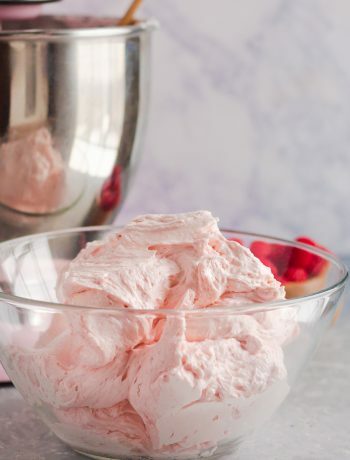 I’ve printed this recipe out for him to make them with me.